Here is another personal project I am working on. 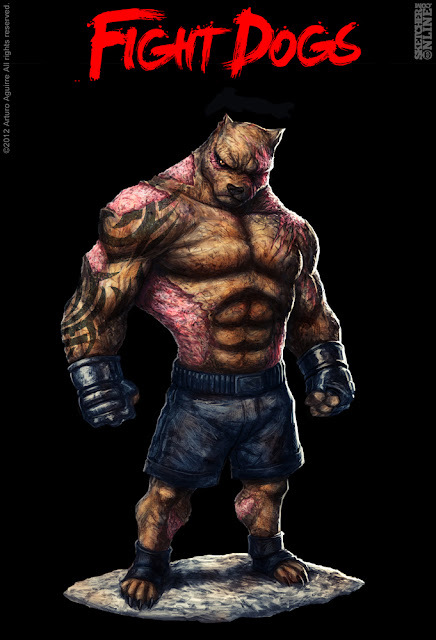 It is a brutal fighting game galled FIGHT DOGS. It was inspired by a few photos I saw on google when I wrote "dog fighting". You can find some shocking images of the injuries these dogs endure. This would be a more graphic and violent game compared to Kock Fighter Club. The Pitbull is Dyson, the three time heavy weight champion. Nobody can take or inflict as much damage as this fighter. 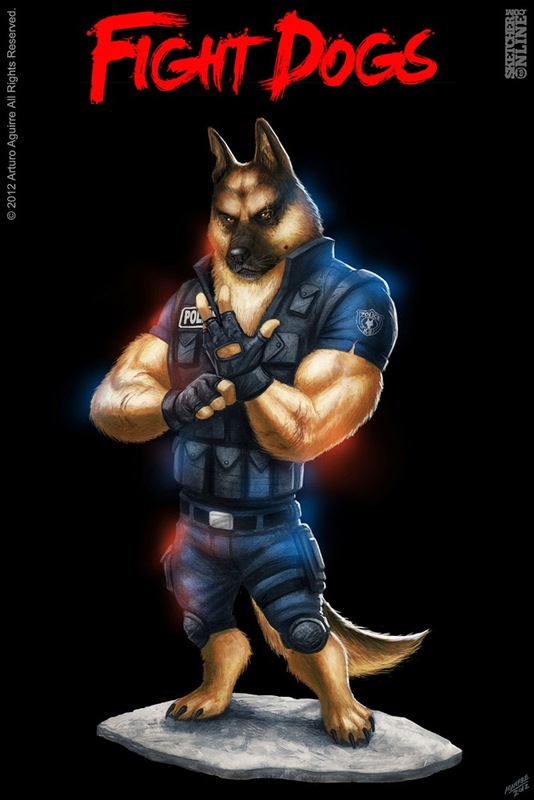 The German Shepherd is The Kaiser, a newcomer to the competition who uses the fights to vent out his rage on his opponents. I created these characters in Photoshop from scratch. I try to save many files to help give an idea of the process but sometimes it is easy to get carried away. I have a few more characters in mind so stay tuned for more. Hope you like them.